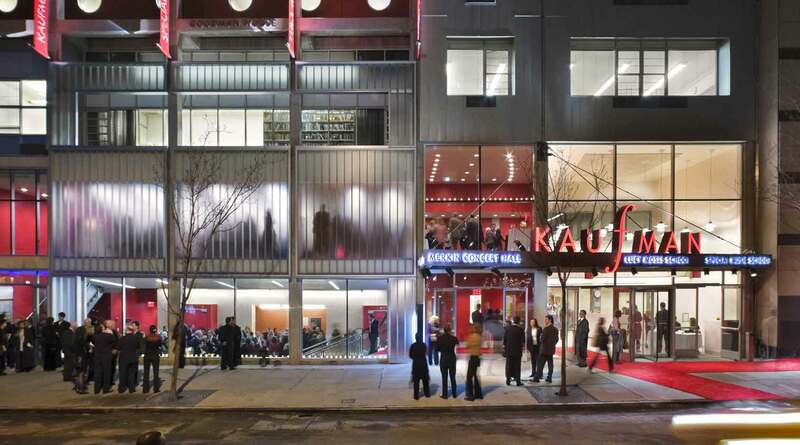 Order subscriptions and single tickets online, by visiting the Merkin Concert Hall Box Office at 129 West 67th Street between Broadway & Amsterdam, or by calling (212) 501-3330. Subscriptions and single tickets to the 2018–19 season are now available. You may order through the Merkin Hall Box Office online, by phone at (212) 501-3330, or in person at 129 West 67th Street. What is one to make of Johannes Brahms's sending the present string quintet to his publisher, Simrock, with a note saying: "The time has now come for you to say good-bye to any further compositions from me," and then going on to compose for 10 more glorious years? Similarly he said to his friend Eusebius Mandyczewski: "I've been tormenting myself for a long time with all kinds of things, a symphony, chamber music and other things, and nothing will come of it. â€¦ It seems to me that it's not going the way it used to. I'm just not going to do any more." It was 1890, and Brahms was only 57. But then he composed this vigorous Quintet, reminiscent of his younger self. Sometimes called Viola Quintet because it is scored for two violins, two violas, and cello, some of its material is derived from sketches he had made during an Italian holiday earlier in 1890 — possibly for another symphony. Passion and intensity launch this dramatic chamber work, with the upper voices surrounding the cello's muscular voice with a tremolo halo. (His friend and musical advisor, violinist Joseph Joachim thought it might take three cellists to be heard against the other four forte-playing partners.) The somewhat melancholy, bittersweet Adagio features a poignant subject repeated several times — with a different deployment of forces lending a new character to each appearance, as the cello's steady pizzicato pulse alternates with passionate bowed passages. The simple, beautifully crafted third movement is a restrained waltz, and the last measures of the finale are shot through with Czárdás rhythms. Viewed as a whole, the String Quintet is so richly scored that it feels as though there are more than just five performers — a tribute to Brahms's ability to bring out the unique character of each instrument. 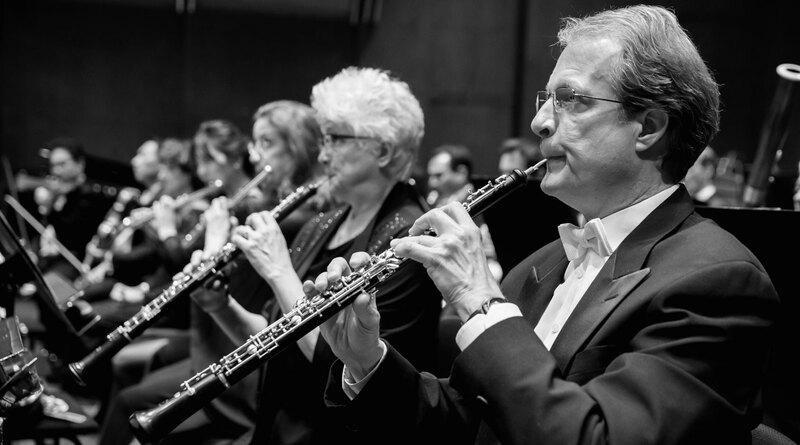 A native of Mallorca, Spain, clarinetist and E-flat clarinetist Pascual Martínez Forteza joined the New York Philharmonic in 2001; he currently serves as Acting Associate Principal Clarinet, The Honey M. Kurtz Family Chair. Prior to his appointment with the Philharmonic, he held tenure with the Cincinnati Symphony Orchestra, and at age 18 he was assistant principal and later acting principal of the Baleares Symphony Orchestra in Spain. He has recently performed as guest principal clarinet with the Berlin Philharmonic under Sir Simon Rattle. Mr. Martínez Forteza appears regularly as a soloist, recitalist, and master-class teacher at international festivals and conservatories, including the International Clarinet Festival of Chanchung (China), ClarinetFest 2009 (Porto, Portugal), Buffet Crampon Summer Clarinet Festival (Jacksonville, Florida), University of Southern California, Mannes School of Music, The Juilliard School, New Jersey Clarinet Symposium, XI Encuentro Internacional de Clarinetes de Lisboa (Portugal), Mexico Clarinet Convention, and I Latinoamerican Clarinet Congress (Lima, Peru). Past and future engagements include solo performances of Copland’s Clarinet Concerto, Mozart’s Clarinet Concerto, Weber’s Clarinet Concertos Nos.1 and 2, Krommer’s Concerto for Two Clarinets, Rossini’s Introduction, Theme and Variations for Clarinet and Orchestra, and Luigi Bassi’s Fantasy on Themes from Verdi’s Rigoletto. He frequently collaborates with Philharmonic colleagues in New York City venues such as Avery Fisher Hall, Merkin Concert Hall, and Carnegie Hall. Since 2003 Mr. Martínez Forteza and Spanish pianist Gema Nieto have played throughout Asia, Europe, and the United States as Duo Forteza-Nieto. Together they founded the Benifaio Music Festival in Spain, where Philharmonic colleagues have joined them for a week of master classes and concerts. A decade ago Mr. Martínez Forteza founded Vent Cameristic, a wind ensemble of professional musicians from Spain. As a soloist with that ensemble, he has played every year at the Concerts d’Estiú in Valencia, Spain. In 2003 Spanish National Radio (RNE) produced a CD featuring selections from these performances. Mr. Martínez Forteza has also made recordings for radio and television in Asia, Europe, and the United States. Pascual Martínez Forteza started playing clarinet at age ten with his father, Pascual V. Martínez, principal clarinet of the Baleares Symphony Orchestra for 30 years and teacher at the Baleares Conservatory of Music in Spain. Mr. Martínez Forteza earned his master’s degree from the Baleares and Liceo de Barcelona Music Conservatories in Spain and pursued advanced studies with Yehuda Gilad at the University of Southern California, where he won first prize in the university’s 1998 Concerto Competition. Mr. Martínez Forteza is currently a faculty member at New York University and teaches orchestral repertoire at Manhattan School of Music. A Buffet Crampon Artist and Vandoren Artist, he plays Green Line Tosca Buffet clarinets and uses Vandoren reeds and M30D mouthpieces. Raphael Fusco is a versatile keyboardist, composer, and conductor active throughout Europe and the United States. He has led performances from the harpsichord with Branford Marsalis, Daniel Rowland, Chamber Orchestra of Philadelphia, Martha Graham Dance Company, Company XIV, and members of the Venice Baroque Orchestra, appearing in venues including Carnegie Hall, The Metropolitan Museum of Art, and Kimmel Center, and for Boston University, Amherst Early Music Festival, and Tuscia Opera Festival. Mr. Fusco is the recipient of awards from Aliénor Harpsichord Composition Competition, American Prize for Music, NATS Art Song Competition, and two artist residencies at the Piccola Accademia di Montisi. He is a founding member of Corelli Collective and Uncommon Temperament, music director for ¡Figaro 90210! and currently serves on the faculties of the Classic Lyric Arts and Opera Lucca festivals. He holds degrees from Mannes College of Music and completed studies at the G. Verdi Conservatorio of Turin, Paris Schola Cantorum, and Vienna Konservatorium, studying with Arthur Haas, Jacques Von Oortmerssen, Rita Peiretti, Giulio Castagnoli, Narcis Bonet, David Loeb, and Carl Schachter. Violinist Quan Ge joined the New York Philharmonic in June 2009. She holds a bachelor's degree from The Curtis Institute of Music, where she worked with Yumi Scott, Ida Kavafian, and Jaime Laredo, and a master's degree from The Juilliard School, where she studied with David Chan. A native of Huai Nan, China, Ms. Ge was the recipient of a Fu Chen Xian Scholarship, and has won top prizes in both the China National Competition and the Jeunesses Music Competition (Romania). While a student at Curtis, she played as a substitute with The Philadelphia Orchestra. Ms. Ge is an active chamber musician and recitalist, and most recently worked with pianist Robert McDonald and the Borromeo String Quartet at the Taos School of Music in 2008. Frank Huang joined the New York Philharmonic as Concertmaster, The Charles E. Culpeper Chair, in September 2015. The First Prize Winner of the 2003 Walter W. Naumburg Foundation’s Violin Competition and the 2000 Hannover International Violin Competition, he has established a major career as a violin virtuoso. Since performing with the Houston Symphony in a nationally broadcast concert at the age of 11 he has appeared with orchestras throughout the world including The Cleveland Orchestra, Los Angeles Philharmonic, Saint Paul Chamber Orchestra, Indianapolis Symphony, NDR Radio Philharmonic Orchestra of Hannover, Amadeus Chamber Orchestra, and the Genoa Orchestra. He has also performed on NPR’s Performance Today, ABC’s Good Morning America, and CNN’s American Morning with Paula Zahn. He has performed at Wigmore Hall (in London), Salle Cortot (Paris), Kennedy Center (Washington, D.C.), and the Herbst Theatre (San Francisco), as well as a second recital in Alice Tully Hall (New York), which featured the World Premiere of Donald Martino’s Sonata for Solo Violin. Mr. Huang’s first commercial recording — featuring fantasies by Schubert, Ernst, Schoenberg, and Waxman — was released on Naxos in 2003. He made his New York Philharmonic solo debut in June 2016 leading and performing Vivaldi’s The Four Seasons and Piazzolla’s Four Seasons of Buenos Aires. In 2017–18 he led the Orchestra from his Concertmaster chair in works by Mozart and Tchaikovsky, and performed with the Philharmonic as soloist in Lalo’s Symphonie espagnole at Bravo! Vail. Mr. Huang has had great success in competitions since the age of 15 and received top prize awards in the Premio Paganini International Violin Competition and the Indianapolis International Violin Competition. 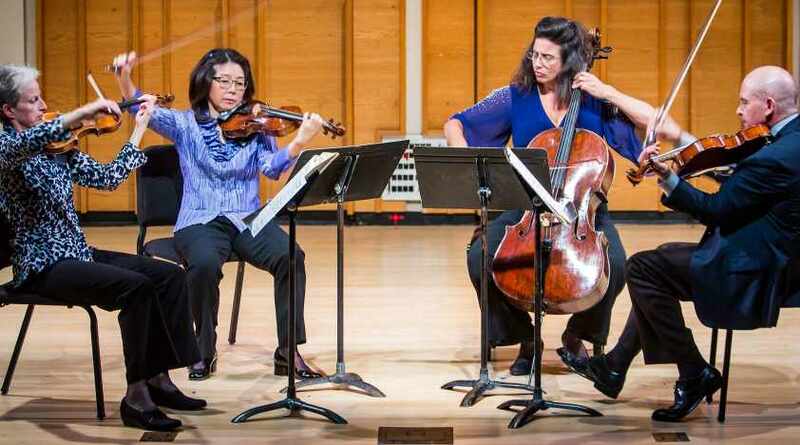 Other honors include Gold Medal Awards in the Kingsville International Competition, Irving M. Klein International Competition, and D’Angelo International Competition. In addition to his solo career, Mr. Huang is deeply committed to chamber music. He is a member of the New York Philharmonic String Quartet, established in the 2016–17 season, and has performed at the Marlboro Music Festival, Ravinia’s Steans Institute, Seattle Chamber Music Festival, and Caramoor. He frequently participates in Musicians from Marlboro’s tours, and was selected by The Chamber Music Society of Lincoln Center to be a member of the prestigious CMS Two program. Before joining the Houston Symphony as concertmaster in 2010, Frank Huang held the position of first violinist of the Grammy Award–winning Ying Quartet and was a faculty member at the Eastman School of Music. Frank Huang was born in Beijing, China. At the age of seven he moved to Houston, Texas, where he began violin lessons with his mother. He commenced study with Fredell Lack at the University of Houston and at 16 he enrolled in the pre-college program at the Cleveland Institute of Music (CIM) where he studied with Donald Weilerstein. He continued studies with Weilerstein in college and earned his bachelor of music degree from CIM in 2002. He subsequently attended The Juilliard School in New York City, studying violin with Robert Mann. He is an alumnus of the Music Academy of the West. He served on the faculties of The Shepherd School of Music at Rice University and the University of Houston, and currently serves on the faculty of The Juilliard School. Violist Leah Ferguson joined the New York Philharmonic in October 2018, having previously served in the Boston Symphony Orchestra since 2016. Originally from Chicago, Ms. Ferguson received her early training from Roland Vamos. She went on to earn a bachelor’s degree from the Cleveland Institute of Music, where she studied with Robert Vernon and Mark Jackobs, and a graduate diploma from The Juilliard School as a recipient of the Kovner Fellowship, studying with Heidi Castleman and Philharmonic Principal Viola Cynthia Phelps. Ms. Ferguson has participated in festivals including Music@Menlo, Ravinia’s Steans Music Institute, the Verbier Festival, and the Perlman Music Program. She has toured with Musicians from Ravinia’s Steans Music Institute, performed as a guest artist with the Academy of St Martin in the Fields Chamber Ensemble, and appeared at The Greene Space with violinist Joshua Bell and other musicians from the YoungArts Foundation. Leah Ferguson has also performed with the Chicago Symphony Orchestra, The Cleveland Orchestra, Rochester Philharmonic Orchestra as assistant principal, and Montreal Symphony Orchestra as guest associate principal. Her performances have been featured on WCLV Cleveland, WFMT Chicago, and HBO’s documentary television series Masterclass. Violist Vivek Kamath joined the New York Philharmonic in January 1998. Mr. Kamath earned his bachelor's degree at the Cleveland Institute of Music, studying with Donald Weilerstein. He has appeared as soloist with the Rochester Philharmonic Orchestra and the Metamorphosen Chamber Orchestra. An avid chamber musician, he has performed at the Marlboro, Ravinia, Sarasota, Blossom, and Bowdoin festivals. In 1997 Mr. Kamath was a prize-winner in the Washington International String Competition and in the Irving Klein International String Competition. In his spare time he enjoys playing tennis, studying wildlife, and dining out. Mindy Kaufman, The Edward and Priscilla Pilcher Chair, joined the New York Philharmonic as flute and solo piccolo in 1979 at the age of 22, after performing for three seasons with the Rochester Philharmonic Orchestra. She received a bachelor of music degree from the Eastman School of Music, where she studied with Walfrid Kujala, Bonita Boyd, and James Galway. Ms. Kaufman has appeared as a soloist with the New York Philharmonic under former Music Directors Zubin Mehta, Kurt Masur, and Lorin Maazel. For one season she substituted as principal flute with the Milwaukee Symphony Orchestra. Ms. Kaufman performs chamber music regularly with her colleagues in the New York Philharmonic, and has performed at the Mt. Desert Festival of Chamber Music, Moab Music Festival, Hudson Valley Performing Arts Foundation’s Chamber Music Series, Grand Teton Music Festival, Concordia Chamber Players, Brightstar Music Festival, Benifaió Music Festival, and Colorado Music Festival. Ms. Kaufman teaches at the Shanghai Orchestra Academy. She gives master classes around the world, and has taught at Columbia University, Mannes Prep, and as a substitute teacher at Juilliard Pre-College. Ms. Kaufman recorded Avner Dorman’s Piccolo Concerto with the Metropolis Ensemble, Vivaldi’s Piccolo Concerto with New York Philharmonic, and a solo CD, French Flute Music. She has performed at the National Flute Convention, Japan Flute Convention, and the New York Flute Club. She can be heard on dozens of film soundtracks, including The Cotton Club, The Untouchables, Aladdin, Julie & Julia, and Moonrise Kingdom. Peter Kenote was born in Seattle, Washington. He received his undergraduate degree from the University of Washington, and his master’s and doctorate degrees in music performance from The Juilliard School. Since 1983 he has been a member of the New York Philharmonic viola section. In February 2008 he performed Berio’s Sequenza VI for solo viola at Jazz at Lincoln Center’s Rose Theater as part of the New York Philharmonic’s Day of Berio. In the 2009–10 season he played the premieres of a new viola concerto with the South Dakota Symphony written for him by composer Neal Harnly, and Moto Perpetuo, a new work for viola and percussion ensemble by Braxton Blake. He especially enjoys performing in concert with his daughters, soprano Rebekah and mezzo-soprano Ruth. Sumire Kudo joined the Philharmonic as a cellist in June 2006. Previously she taught at Indiana University–South Bend and was the cellist of the Avalon String Quartet. Born in Tokyo, Japan, Ms. Kudo began cello studies at age four with her father, cellist Akiyoshi Kudo. She came to the United States in 2000, after establishing herself in her native country through solo performances and recordings. Her honors include the Hideo Saito Memorial Fund Award, which she received from the Sony Music Foundation after being chosen by Seiji Ozawa and Tsuyoshi Tsutsumi as the most promising cellist in 2005, and prizes at the Sapporo Junior Cello Competition and 62nd Japan Music Competition. Ms. Kudo is a graduate of Tokyo’s Toho School and The Juilliard School. She has participated in the Nagano-Aspen Music, Aspen Music, Santa Fe, and Marlboro Music festivals. Record Geijutsu, Japan’s leading classical music magazine, named her second solo CD, Love of Beauty, Best Recording. Judith LeClair joined the New York Philharmonic as Principal Bassoon in 1981, at the age of 23. Since then, she has made more than 50 solo appearances with the Orchestra, performing with conductors such as Sir Colin Davis, Sir Andrew Davis, Alan Gilbert, Christopher Hogwood, Rafael Kubelik, Erich Leinsdorf, Lorin Maazel, Kurt Masur, Zubin Mehta, André Previn, John Williams, and Andrey Boreyko. Ms. LeClair is a graduate of the Eastman School of Music, where she studied with K. David Van Hoesen. She made her professional debut with The Philadelphia Orchestra at age 15, playing Mozart’s Sinfonia concertante with colleagues from the Settlement Music School in Philadelphia, where she studied with Shirley Curtiss. Before joining the New York Philharmonic, she was Principal Bassoonist for two seasons with the San Diego Symphony and San Diego Opera. Active as a chamber musician, she has performed with numerous leading artists and has participated in leading festivals around the country. She has given solo recitals and master classes at the Eastman School of Music, Northwestern University, New England Conservatory, Oberlin College, University of Michigan, Ohio University, and the University of Colorado at Boulder. Every August she gives a solo recital and week-long master class at the Hidden Valley Music Seminar in Carmel Valley, California. She performed with the Philharmonic Woodwind Quintet of New York, formed in 2001 with her colleagues from the New York Philharmonic wind section. They gave recitals throughout the country and on the Orchestra’s foreign tours. In April 1995 Ms. LeClair premiered The Five Sacred Trees, a concerto written for her by John Williams and commissioned by the New York Philharmonic as part of its 150th Anniversary celebration. She later performed the concerto with the San Francisco Symphony and with the Royal Academy Orchestra in London. She recorded it for Sony Classical with the London Symphony Orchestra in June 1996, with Mr. Williams conducting. This, along with her solo New York Legends CD for Cala Records, was released in March 1997. Her newest CD, Works for Bassoon, was released in the spring of 2010. Ms. LeClair is on the faculty of The Juilliard School, and she will join the faculty of the Manhattan School of Music in fall 2014. She lives in New Jersey with her husband, pianist Jonathan Feldman, and their son, Gabriel. Violinist Hyunju Lee joined the New York Philharmonic in June 2009. She received a diploma from The Curtis Institute of Music, a bachelor of music degree from The Cleveland Institute of Music (CIM), and a graduate diploma from The Juilliard School. The Seoul, Korea, native began playing the violin at age five and made a successful solo debut at 12 with the Seoul Philharmonic, subsequently appearing as soloist with the Korean Symphony, Seoul Metropolitan Youth Orchestra, Curtis Chamber Orchestra, and the CIM Orchestra in Cleveland. She received numerous prizes in Korea, in addition to winning the CIM Concerto Competition and second prize in the Hudson Valley Philharmonic String Competition. Ms. Lee has participated in the Kneisel Hall Chamber Music Festival, and Sarasota and Tanglewood Music Festivals. While at Tanglewood she performed as concertmaster of the Tanglewood Music Center Orchestra. She has also served as a substitute player with The Philadelphia Orchestra and the Boston Symphony Orchestra. Her primary teachers have included Arnold Steinhardt, Victor Danchenko, William Preucil, David Cerone, and Robert Mann. Eileen Moon-Myers joined the cello section of the New York Philharmonic in 1998, and in 2007 was named Associate Principal Cello, The Paul and Diane Guenther Chair. Born and raised in Los Altos, California, she studied piano and cello, eventually continuing her cello studies with Irene Sharp in the Pre-College Division of the San Francisco Conservatory. As a member of the Palo Alto Chamber Orchestra (PACO), Ms. Moon-Myers experienced years of immersion in the comprehensive arts community of the Bay Area and toured Europe and the West Coast, often as a featured soloist. She continued her studies at The Juilliard School, where she earned her bachelor of music degree, and then moved to Vienna to study with Valentin Erben of the Alban Berg Quartet. She was a top prize winner in numerous competitions, including YoungArts (Florida) in 1987, Irving Klein (California) in 1988, Geneva International Competition (Switzerland) in 1991, and Tchaikovsky International Competition (Moscow) in 1994. She has performed in prestigious festivals, and is the founder of the Warwick Music Series in Warwick, New York. Ms. Moon-Myers’s biggest passions are music presentation, cooking, running, and animal advocacy. She co-founded Friends of Warwick Valley Humane Society and aims to open a sanctuary for injured, abandoned and “retired” animals and wildlife. Rémi Pelletier joined the New York Philharmonic’s viola section in July 2013, having served in the Montreal Symphony Orchestra beginning in 2007. Previously, he was a regular substitute with The Philadelphia Orchestra and performed with The Haddonfield Symphony and Orchestre Métropolitain du Grand Montréal. He served as guest principal viola of the International Orchestra of Italy in the summers of 2011 and 2012, principal viola of Japan’s Pacific Music Festival, and assistant principal of the New York String Orchestra Seminar. An active chamber musician, Mr. Pelletier was a regular guest at the Société de musique de chambre de Québec and performed with Rendez-vous musical de Laterrière and Musica Camerata, as well as with the Montreal Symphony Orchestra’s chamber music series. His honors include the CBC/McGill Music Award (2003) as well as first prize at the Concours du Québec and Canada’s National Music Festival Competition. A native of Québec, Mr. Pelletier was a scholarship recipient at Encore School for Strings and the Orford Arts Centre. He performed a recital on the Canadian Broadcasting Company’s Debut Series. In addition to attending master classes with Kim Kashkashian, Roberto Diaz, and others, Rémi Pelletier studied with Michael Tree and Joseph De Pasquale at The Curtis Institute of Music, and with André Roy at McGill University, from which he graduated with the distinction of Outstanding Achievement in Viola Performance and where he was principal viola of the McGill Symphony Orchestra. Robert Rinehart, who joined the New York Philharmonic’s viola section in 1992, is a familiar figure on the New York chamber-music scene. He has appeared at the Spoleto, Vancouver Chamber Music, and Santa Fe Chamber Music festivals, and with Chamber Music Northwest and The Chamber Music Society of Lincoln Center. A founding member of the Ridge String Quartet, Mr. Rinehart has performed in every major music center in the United States, as well as in Canada, Australia, Japan, and in Europe. He has collaborated with Benny Goodman, Rudolf Firkusny, and the Guarneri String Quartet, among others, and his chamber music recordings have received a Grammy Award, two Grammy nominations, and the Diapason d’Or. A native of San Francisco, Mr. Rinehart studied violin at the San Francisco Conservatory of Music with Isadore Tinkleman, and at The Curtis Institute of Music with Jaime Laredo, David Cerone, and Ivan Galamian. He is on the faculty of the Manhattan School of Music. Marié Rossano joined the New York Philharmonic in May 2016. Since making her solo debut at age 11, Ms. Rossano has performed as soloist with the Seattle Symphony, Utah Symphony, Northwest Sinfonietta, and more than a dozen other orchestras in the western United States. In 2015 she performed as concertmaster of the Malaysian Philharmonic under Giancarlo Guerrero and Fabio Luisi. She has enjoyed summer engagements at the Seattle Chamber Music Society Summer Festival, Strings Music Festival, Music From Angel Fire, Deer Valley Music Festival, and Methow Valley Music Festival, and has also performed at Keshet Eilon Violin Mastercourse, Verbier Festival Academy, and Starling-DeLay Symposia. Ms. Rossano performed on the 1715 “Baron Knoop” Stradivarius violin in the 2010 PBS documentary Violin Masters: Two Gentlemen of Cremona, courtesy of the Fulton Collection. She was named First Laureate of the 2010 Stradivarius International Violin Competition and National Winner of the Music Teachers National Association 2008 Junior Strings Competition; she was also awarded the 2005 Seattle Young Artists Festival Medal and the Music of Remembrance David Tonkonogui Memorial Award in 2008. Marié Rossano studied with Ida Kavafian and Joseph Silverstein at the Curtis Institute of Music, where she graduated in May 2016 with a bachelor’s of music and the 2016 Edward Aldwell Award for Excellence in Musical Studies, and was recognized on the Dean’s List for excellence in academics. While at Curtis, she performed in the 2015 Dean’s Honors Recitals and the 2015 Beethoven Residency with Miriam Fried and Jonathan Biss, and toured worldwide with Curtis on Tour on multiple occasions as a soloist, chamber musician (including at the 2014 Henry Kissinger Award Ceremony in Berlin), and concertmaster of the Curtis Chamber Orchestra with Roberto Díaz and Robert Spano. Ms. Rossano also performed under the baton of conductors Rossen Milanov, Yannick Nézet-Séguin, Robert Spano, and Osmo Vänska, as concertmaster of the Curtis Symphony Orchestra in 2015. Ms. Rossano was born in Japan and raised in the Seattle area. In 2009 she founded Orcastra, a small, flexible, conductor-less string ensemble that has organized community engagement and charity concerts in the Seattle and Philadelphia areas, raising tens of thousands of dollars for tsunami victims in Japan and the impoverished in Tanzania and Guatemala. Sherry Sylar joined the New York Philharmonic in 1984 as Associate Principal Oboe; she currently serves as Acting Principal Oboe, The Alice Tully Chair. She was the Orchestra’s Acting Principal Oboe during the 2005–06 season and has also served as guest principal oboe for other major orchestras, including the Chicago Symphony Orchestra (in December 2015, led by Riccardo Muti), Boston Symphony Orchestra (in its 2001 tour, led by Bernard Haitink), the Orchestre Philharmonique de Radio France (for its 2003 Carnegie Hall debut, conducted by Myung-Whun Chung), the Orpheus Chamber Orchestra (in its 2007 American tour), and the St. Louis Symphony. Prior to joining the New York Philharmonic she was a member of the Louisville Orchestra. She was among the select group of Philharmonic musicians who joined the orchestra that Leonard Bernstein conducted in the historic Freedom Concert at the falling of the Berlin Wall in 1989. As a featured soloist with the New York Philharmonic, she has performed Haydn’s Sinfonia Concertante in B-flat major, conducted by Jeffrey Kahane, and Bach’s Concerto for Violin and Oboe, with the Orchestra’s Principal Associate Concertmaster Sheryl Staples, conducted by Kent Nagano. In 1989 she was soloist in the Orchestra’s performances and recording of Handel’s Oboe Concerto in G minor, Zubin Mehta conducting. She also serves as the New York Philharmonic’s oboe d’amore player, and she earned praise from The New York Times for her solos on that instrument during the orchestra’s 2013 The Bach Variations: A Philharmonic Festival. In March 2016 she performed the World Premiere of Pablo Furman’s Concerto for Oboe and Strings with the San Jose Chamber Orchestra. An avid performer of chamber music, she appears often in the concerts of the New York Philharmonic Ensembles and has participated in the Aspen and Grand Teton Music Festivals. She played Luciano Berio’s Sequenza VIIa for solo oboe at Jazz at Lincoln Center’s Rose Theater as part of the New York Philharmonic’s celebration of the late composer in 2008. 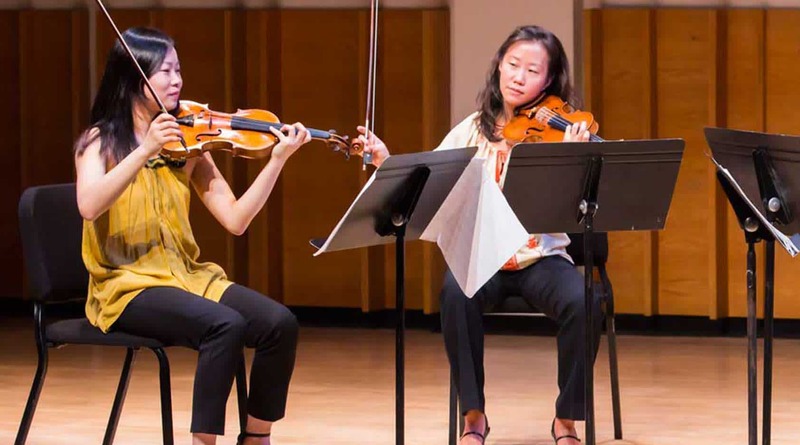 She is also a member of the Philharmonic Quintet of New York, which was formed in 2001 to give concerts for workers in the World Trade Center area following the disaster of 9/11. The quintet has gone on to give master classes and recitals worldwide and is preparing its first CD. Ms. Sylar gives master classes for oboists internationally and was invited to China as a judge for the Beijing National Orchestra’s first-ever auditions. A native of Chattanooga, Tennessee, she earned her bachelor’s degree at Indiana University and her master’s degree from Northwestern University. She formerly taught at the University of Evansville in Indiana and since 2005 has served on the oboe faculty of Mannes College The New School for Music in New York City. Her new CD, Oboe Dolce, includes solo oboe and chamber music featuring Principal Bassoon Judith LeClair, Principal Viola Cynthia Phelps, Harriet Wingreen, Jonathan Feldman, Yi Fang Wang, and Norman Weiss. Cellist Nathan Vickery joined the New York Philharmonic in September 2013. He has appeared as a soloist with the Indianapolis Symphony Orchestra and as a recitalist and chamber musician at festivals including the Marlboro Chamber Music Festival, Ravinia’s Steans Music Institute, and the Chamber Music Workshop at the Perlman Music Festival, as well as throughout Europe with Curtis on Tour. As a chamber musician he has collaborated with violinists Joshua Bell, Pamela Frank, and Miriam Fried; pianist Jonathan Biss; and the contemporary music ensemble Eighth Blackbird, among others. Mr. Vickery has appeared on NPR’s From the Top and WFMT in Chicago. He has won numerous competitions, including the Second International David Popper Cello Competition (Hungary) and the Indianapolis Symphony Orchestra’s Maurer Young Musicians Contest. He received his bachelor’s degree from The Curtis Institute of Music, where he studied with Peter Wiley. Nathan Vickery has served on the faculty of the Indiana University Summer String Academy. William Wolfram was a silver medalist at the William Kapell and Naumburg International Piano Competitions and a bronze medalist at the Tchaikovsky Piano Competition. He is equally adept as a concerto soloist, recitalist, accompanist, and chamber musician. His solo engagements have included the Baltimore, City of Birmingham, National, Pittsburgh, Saint Louis, San Francisco, and Tokyo Metropolitan symphony orchestras, among others, and he regularly appears and in the New York Philharmonic Ensembles series. His releases on the Naxos label include transcriptions of Liszt, chamber music with violinist Philippe Quint, and music by Earl Kim; he can be heard on the Albany label, performing concertos by Edward Collins. 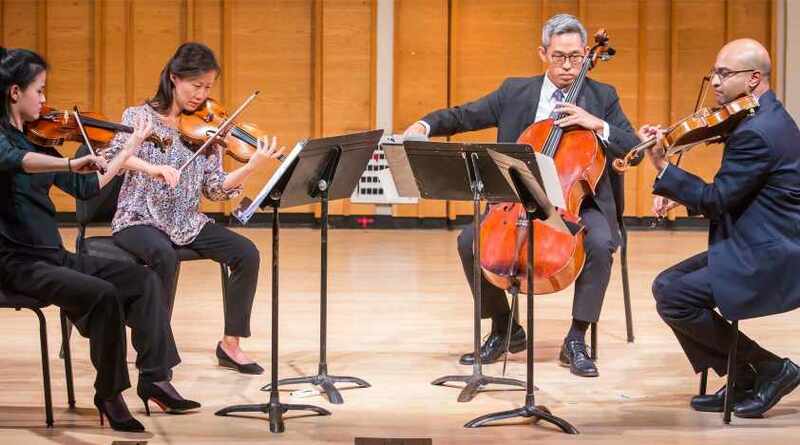 A Juilliard graduate, Mr. Wolfram serves on the faculty of North Carolina’s Eastern Music Festival, is a regular guest at the Colorado College Music Festival; and teaches performance at Manhattan School of Music. He was the focus of a chapter in Joseph Horowitz’s The Ivory Trade: Music and the Business of Music at the Van Cliburn International Piano Competition, and was featured in a documentary about the 1986 Tchaikovsky International Piano Competition. Ru-Pei Yeh, cello, who joined the New York Philharmonic in September 2006, has performed regularly as a recitalist in her native Taiwan and in the U.S. A founding member of the Formosa Quartet, formed in 2003, she has served as acting principal cello of the San Diego Symphony and the San Diego Opera, in addition to performing with a string quartet of principal players from the San Diego Symphony. She has made solo appearances with the Hudson Valley Philharmonic, National Taiwan Symphony, Taiwan’s Evergreen Symphony Orchestra, Jacksonville Symphony Orchestra, North Carolina School of the Arts’s International Music Program Orchestra, and Kuan-Jen School Orchestra, and is the winner of numerous competitions. Ms. Yeh, who has been performing professionally since the age of 10, moved to the U.S. at 13 to study with Orlando Cole at the Temple Preparatory School. In her last two years of high school she studied with Robert Marsh at the North Carolina School of the Arts. Ms. Yeh received her bachelor of music degree from the New England Conservatory under the tutelage of Laurence Lesser, and received her master’s degree and artist diploma from The Juilliard School, studying with Joel Krosnick. Violinist Jin Suk Yu joined the New York Philharmonic in January 2015. Previously, he was a second-year fellow at the New World Symphony, in which he served as concertmaster under the direction of Michael Tilson Thomas and appeared as a soloist, having won the concerto competition. Mr. Yu has also performed in the Chicago, Pittsburgh, and Atlanta symphony orchestras. From 2011 to 2013, while studying at The Juilliard School, he led both the Juilliard Orchestra and the Verbier Festival Orchestra as concertmaster and in various principal positions. He has participated in the Artosphere Festival Orchestra, Sarasota Music Festival, Aspen Music Festival, and the Encore School for Strings. An active chamber musician, Jin Suk Yu most recently performed Beethoven’s Archduke Trio with pianist Yefim Bronfman at the New World Center. Born in Seoul, South Korea, Mr. Yu started playing the violin at the age of five and attended the Interlochen Arts Academy, where he was concertmaster and winner of the concerto competition as well as a valedictorian. He went on to pursue his studies at The Juilliard School, studying with Naoko Tanaka and Joseph Lin, from which he received both his bachelor and master degrees. Prepare for your visit, get directions, find parking, and learn about things to do once you're here. Discounted tickets. Insider access to the best seats. Behind-the-scenes events. Exclusive ticket exchange privileges. All this – and more – can be yours when you give generously! You can add this event to your Outlook, Google, Yahoo, or iCal calendar using the form below.